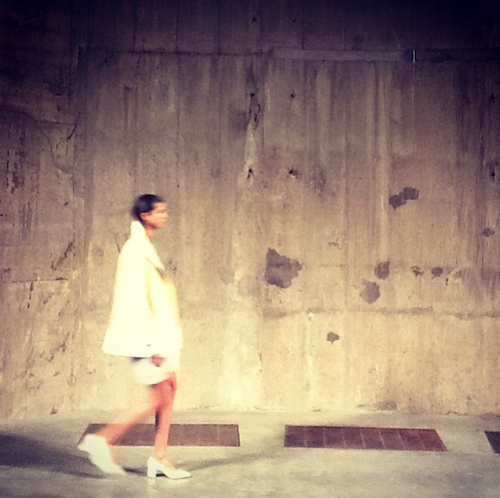 I loved the Topshop showspace at London Fashion Week – it was in the old oil tanks at the Tate Modern. They are used as exhibition spaces and they have a very stark, industrial feel. As you’d expect, I suppose, considering they used to be tanks. That held oil. I find it a little bit creepy in there, but that’s probably because I have a hugely overactive imagination and keep expecting the tanks to start filling up, with no way of everyone escaping, then the lights going out and the electrics sparking and everyone screaming and… Do go and visit the tanks when you’e next in London, won’t you? Anyway, I wanted to share with you a few of the pictures that I posted on Triumph’s Instagram – I thought that the concrete walls and floors inside the tanks made an incredible backdrop for some of the more vibrant colours. 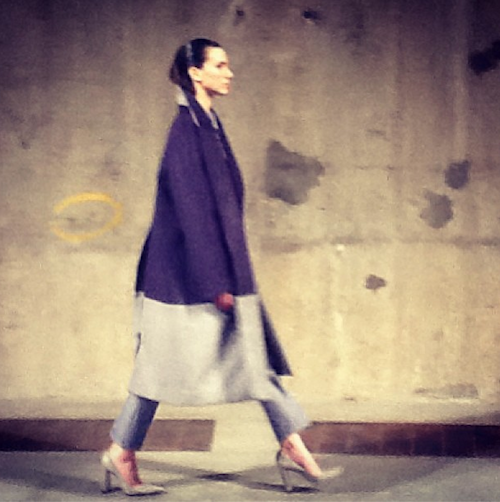 These images are from the Richard Nicoll AW13 show but I saw quite a few shows there including J.W. Anderson and Louise Gray. 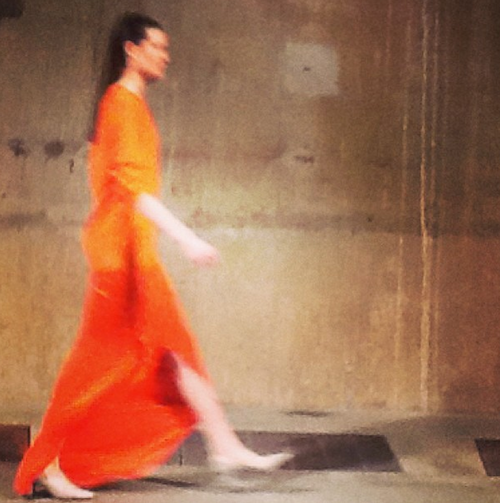 The Topshop Showspace was a far cry from the crowded cafe and long toilet queues at Somerset House, where most of the shows take place – down the huge slope at the Tate Modern and into the tanks, guests were welcomed with champagne, water bottles and a cafe with a constantly changing menu. Chicken pies, soup, Moroccan couscous, treacle tarts, all for free. Going to the Tate Modern was a blessed relief after having to negotiate the cobbles and crowds of spectators and photographers at Somerset House! Previous Post Perhaps I’m Not Your Average Model?